Oriana Fallaci (29 June 1929 – 15 September 2006) was an Italian journalist, author, and political interviewer. A former partisan during World War II, she had a long and successful journalistic career. She interviewed many internationally known leaders and celebrities such as the Sheikh Mujibur Rahman, Dalai Lama, Henry Kissinger, the Shah of Iran, Ayatollah Khomeini, Deng Xiaoping, Willy Brandt, Zulfikar Ali Bhutto, Walter Cronkite, Muammar al-Gaddafi, Federico Fellini, Sammy Davis Jr, Nguyen Cao Ky, Yasir Arafat, Indira Gandhi, Alexandros Panagoulis, Archbishop Makarios III, Golda Meir, Nguyễn Văn Thiệu, Haile Selassie, Sean Connery and Lech Wałęsa. After retirement, she returned to the spotlight after writing a series of articles and books critical of Islam and Arabs that aroused both support as well as controversy and accusations of racism and intolerance. Fallaci was born in Florence, Italy. During World War II, she joined the resistance despite her youth, in the democratic armed group “Giustizia e Libertà”. Her father Edoardo Fallaci, a cabinet maker in Florence, was a political activist struggling to put an end to the dictatorship of Italian fascist leader Benito Mussolini. It was during this period that Fallaci was first exposed to the atrocities of war. She later received a certificate for valour from the Italian army. Whether it comes from a despotic sovereign or an elected president, from a murderous general or a beloved leader, I see power as an inhuman and hateful phenomenon. . . . I have always looked on disobedience toward the oppressive as the only way to use the miracle of having been born. 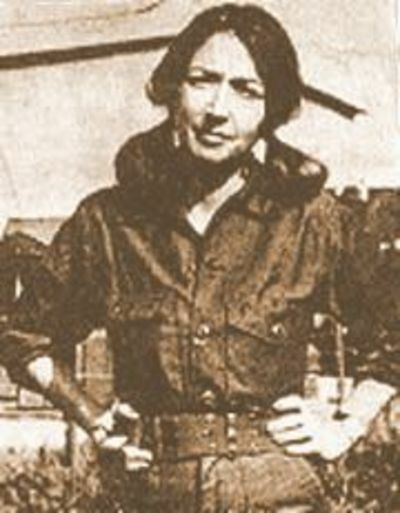 Fallaci began her journalistic career in her teens, becoming a special correspondent for the Italian paper Il mattino dell’Italia centrale in 1946. Starting in 1967 she worked as a war correspondent, in Vietnam, for the Indo-Pakistani War, in the Middle East, and in South America. For many years, Fallaci was a special correspondent for the political magazine L’Europeo and wrote for a number of leading newspapers and Epoca magazine. During the 1968 Tlatelolco massacre, prior to the 1968 Summer Olympics, Fallaci was shot three times, dragged down stairs by her hair, and left for dead by Mexican forces. In the early 1970s Fallaci had an affair with the subject of one of her interviews, Alexandros Panagoulis, who had been a solitary figure in the Greek resistance against the 1967 dictatorship, having been captured, heavily tortured and imprisoned for his (unsuccessful) assassination attempt on dictator and ex-Colonel Georgios Papadopoulos. Panagoulis died in 1976, under controversial circumstances, in a road accident. Fallaci maintained that Panagoulis was assassinated by remnants of the Greek military junta and her book Un Uomo (A Man) was inspired by his life. OF- I still have to ask you a lot of things. About the “chador,” for example, which I was obliged to wear to come and interview you, and which you impose on Iranian women. […] I am not only referring to the dress but to what it represents, I mean the apartheid Iranian women have been forced into after the revolution. They cannot study at the university with men, they cannot work with men, they cannot swim in the sea or in a swimming-pool with men. They have to do everything separately, wearing their “chador.” By the way, how can you swim wearing a “chador”? OF- This is very kind of you, Imam, since you tell me that, I’m going to immediately rid myself of this stupid medieval rag. There !. Living in New York and in a house she owned in Tuscany, Fallaci lectured at the University of Chicago, Yale University, Harvard University, and Columbia University. After September 11, 2001, beginning with The Rage and the Pride (initially a four-page article in Corriere della Sera, the major national newspaper in Italy), Fallaci wrote three books critical of Islamic extremists and Islam in general, and in both writing and interviews warned that Europe was too tolerant of Muslims. The Rage and The Pride and The Force of Reason both became best-sellers. Fallaci was a life-long heavy smoker. She died on September 15, 2006 in her native Florence from cancer. Fallaci twice received the St. Vincent Prize for journalism, as well as the Bancarella Prize (1971) for Nothing, and So Be It; Viareggio Prize (1979), for Un uomo: Romanzo; and Prix Antibes, 1993, for Inshallah. She received a D.Litt. from Columbia College (Chicago). On December 8, 2005 Oriana Fallaci was awarded the Ambrogino d’oro, the highest recognition of the city of Milan. Acting on a proposal by Minister of Education Letizia Moratti, on December 14, 2005 the President of the Italian Republic, Carlo Azeglio Ciampi, awarded Oriana Fallaci a Gold Medal for her cultural contributions (Benemerita della Cultura). The state of her health prevented her from attending the ceremony. On February 12, 2006, the Governor of Tuscany, Riccardo Nencini, awarded Fallaci a gold medal from the Council of Tuscany. How do you dare to ask me for a solution? It’s like asking Seneca for a solution. You remember what he did? He committed suicide! I cry, sometimes, because I’m not 20 years younger, and I’m not healthy. But if I were, I would even sacrifice my writing to enter politics. I defend Israel’s right to exist, to defend themselves, to not let themselves be exterminated a second time. I didn’t want to kill a man. I’m not capable of killing a man. I wanted to kill a tyrant. I don’t want to hear about my death. War is something Arafat sends others to do for him. That is, the poor souls who believe in him. This pompous incompetent caused the failure of the Camp David negotiations, Clinton’s mediation. When my father was arrested, we didn’t know where they had him. My mother found him at the house of torture. It was called Villa Triste. Why do the people humiliate themselves by voting? I didn’t vote because I have dignity. If I had closed my nose and voted for one of them, I would spit on my own face.